In order to slow down the process of the loss of collective memory about City of Skopje, bring or send materials related to SKOPJE 1914-2014. Bring drawings, photographs, academic thesis or research, magazine/newspapers’ cut-outs, personal research, art projects, videos – everything that witnesses one city’s past and disappearance. 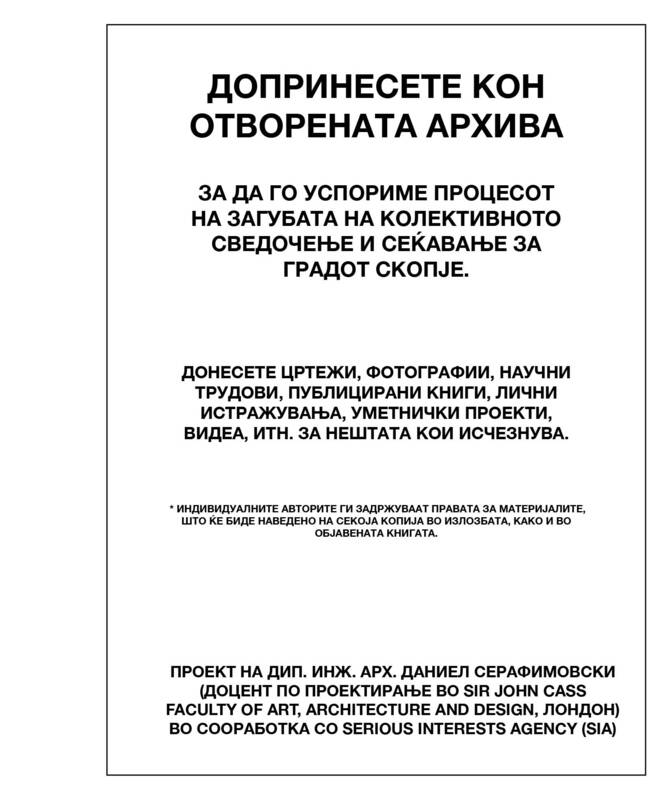 WORKING ARCHIVE is a project by Daniel Serafimovski (arkitekt MAA) (senior lecturer at Sir John Cass Faculty of Art, Architecture and Design, London) in collaboration with Serious Interests Agency (SIA), Skopje.